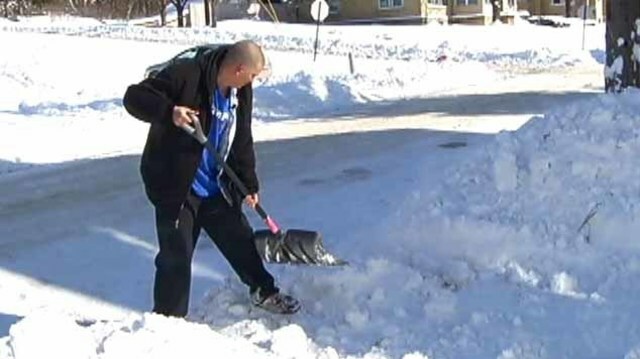 Liz Holliday - AMSTERDAM, N.Y. -- A community is paying it forward after an Amsterdam man shoveled out strangers for free. 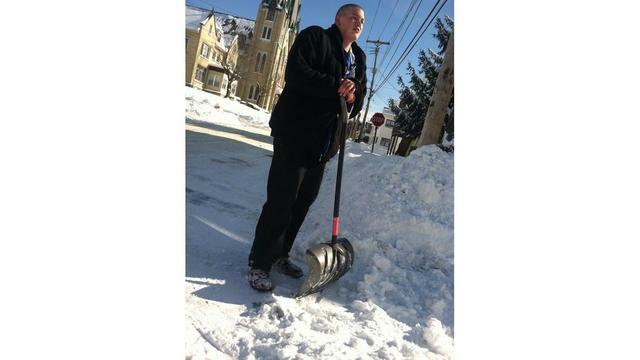 Despite being unemployed, without a car, and sleeping on the floor, when the snow hit Amsterdam Monday, 21-year-old Stephen Madelon walked around town offering to shovel driveways for free. Madelon says that since his story aired, he has been floored with messages of thanks and offerings of help for him and his young family. Before posting his offer to shovel for free on a Fulton-Montgomery County garage sale Facebook page, Madelon had another post asking for a mattress so his fiance no longer had to sleep on the floor. Not only does his family now have a new mattress, but they also have a kitchen table, cupcakes, and many other items as offering to thank him for his selfless act. "I expected nothing, and I got everything, it's just awesome," said Madelon. "The deed, in my mind, wasn't as big as it was to other people, but it is amazing to me how quickly it just blew up." He says that hundreds of people touched by his act have reached out, offering everything from a new bed, job offers, even trying to get him money for a new car. "I'm not sure if I need a job still, I still have to talk to this person, it's still crazy, and they are still coming in," he said. In fact, during our interview, a Johnstown resident touched by Stephen's story stopped by to offer him a ride to pick up a kitchen table, and things other complete strangers have offered up in thanks for his young family. "Try and get achieved what we can get achieved, I just wanted to have somebody help him," said Johnstown resident James Moore. Stephen says the reaction from strangers is more than he'd ever dreamed. And a job and a bed was the last thing on his mind when he walked outside armed with a shovel and idea to give something back. "It floors me how quick people are to open their hearts to us and offer us things," he said. And he says the best part is when the next storm hits, he now has a team of people offering to join him to shovel out Amsterdam for free.